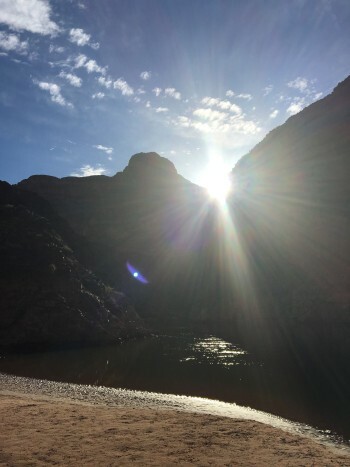 Our Western River guides made every moment of this Grand Canyon expedition an adventure -- skilled river runners/raft handlers, geologists and historians. And the Scotty bonus: a talented singer of river ballads, he gave us a wow performance on his 12-string guitar and harmonica. What a special experience from dawn to dark, day in and day out. And, Yay, the moon and the stars!